4/17 - 4/27 - ESTATE AUCTION FOR B. SCHLICK - Bidding Open Now! 4/17 - 5/04 - FIREARMS & ACCESSORIES ESTATE AUCTION - Bidding Open Now! 5/7 - OCEANSIDE PUBLIC AUTO AUCTION - New North County Auction on 1st and 3rd Tuesdays! 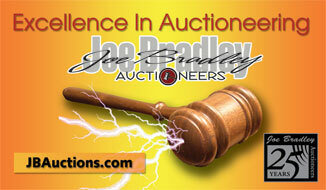 Joe Bradley Auctioneers is now online with Proxybid. Bid online for many different items in our estate sales and liquidations. Bronze Sculptures, Coins, Clocks, Lionel & Buddy L Trains, Swords, Knives, Furniture, JennAir SS BBQ, Telescopes, Binocular, 49cc Sport Bike, H2O Smoker, Vinyl records, 45 lp's, Books & MUCH MORE! Click here for all the info. Including but not limited too: Colt, Ruger, Mauser, H&R, S&W, Winchester, Remington, Marlin, Savage, Black Powder Muzzle Loaders, AMMO, PISTOL & RIFLE ACCESSORIES, Executive & Sportsman VAULTS. Click here for all the info. Our new warehouse facility in Lemon Grove where monthly liquidations will be held. Check back for upcoming dates and auctions! !!! 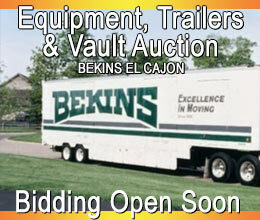 Accepting Consignments Now for our Upcoming Auction !!! 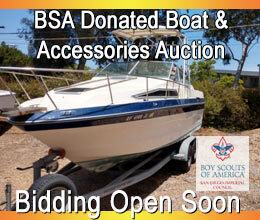 IF YOU HAVE ITEMS FOR AUCTION GIVE US A CALL. BUSINESS LIQUIDATIONS OR ESTATES. LARGE OR SMALL TOOLS, INDUSTRIAL EQUIP. Available 7 days a week call 619-318-3149 for more info. There is no charge and you can keep up to date with all the latest news and information that affects Joe Bradley Auctioneers. To subscribe simply fill out the form below. If you wish to unsubscribe, please login and you will be given the option to unsubscribe. Joe Bradley Auctioneers has been conducting Corporate employee recognition and Fundraising Charitable auction events since 1988. with over 20 years experience we are up to the task of any auction related event. We would like to be your Auctioneer. We have compiled a list of tips for any potentential auction bidder. Click here to visit our FAQ page for additional auction information. At Joe Bradley Auctioneers we believe that an informed client makes for the best relationship in business. Please look over our newest video postings for tips on choosing and hiring an auctioneer along with videos of us in action!